Hue Garden House is one of the types of architectural heritage that is very special in the ancient land, convergence of the quintessence noble and traditional folk colors. An Hien garden house is the most typical garden of total numbers of 7 garden house which exist to today and it also the most beautiful garden in Hue. 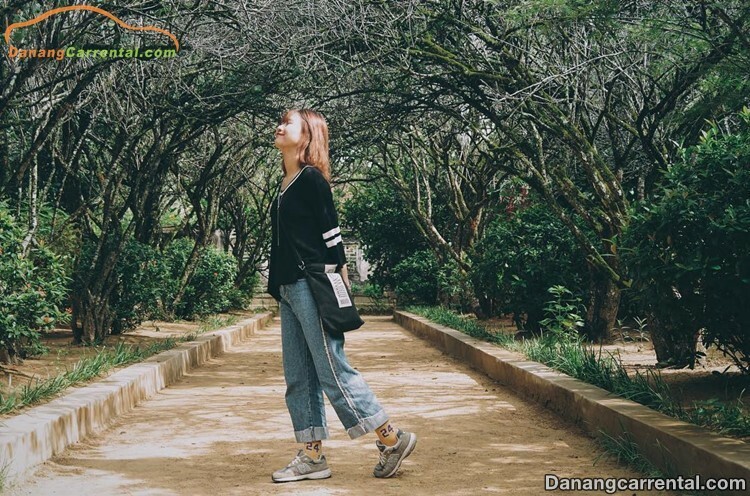 Besides the Hue tourist sites as the architecture of the citadel, royal palace, mausoleum,… Let Kha Tran car rental to discover the garden house of An Hien to the soul having the moments of deposition in this peaceful place. 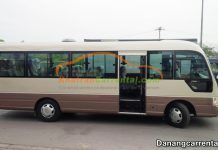 An Hien Garden House is located at 58 Nguyen Phuc Nguyen Street, Kim Long Ward, Hue City. Visitors can also combine garden visit An Hien combination with Thien Mu Pagoda – the oldest pagoda Hue only a few hundred meters far away. An Hien Garden House is one of the most famous garden house in Hue, it was built in the late 19th century. The garden house has a long history and under the hands of many different owners. According to the documents provided by the family, before 1895, the princess of King of Duc Duc was the earliest owner. 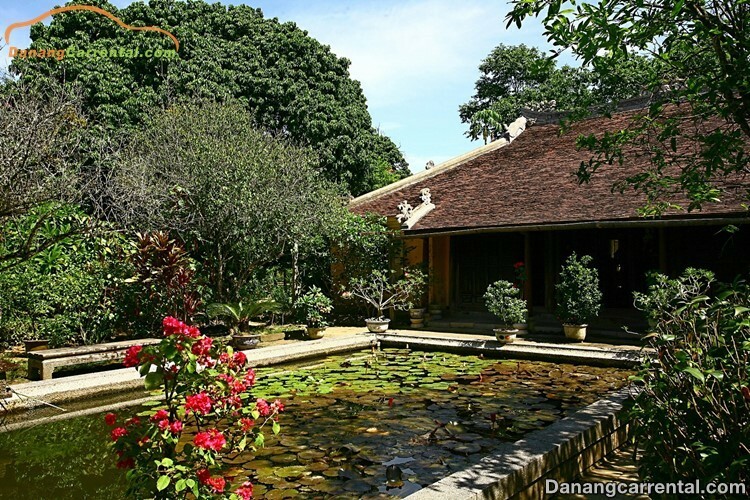 The next owner of the An Hien garden house is Pham Dang Khanh (other name is Pham Dang Thap), grandchild of high ranking mandarin Pham Dang Hung under the king of Gia Long. In 1920, there was a new owner named Mrs. Kham Diep. In 1936, Mr. ThamTe, the son of Mrs. Kham Diep, An Hien garden house was sold to Tuan Vu Nguyen Dinh Chi (now holding the position of leading of Ha Tinh Province). 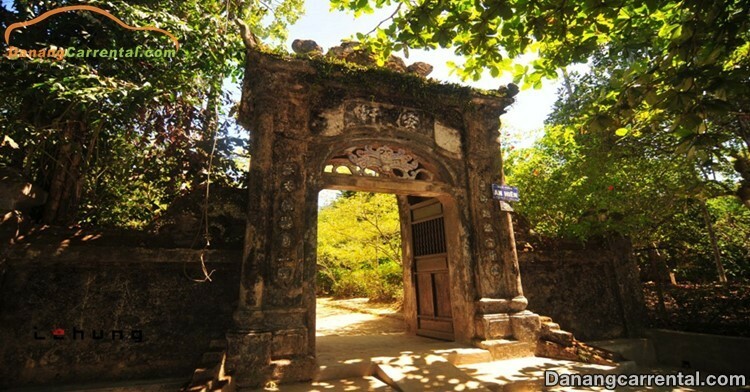 And then, Nguyen Dinh Chi’s wife Dao Thi Xuan Yen inherited and continued to manage, maintain the garden house. She is also the oldest owner, preserving and enhancing the value of the An Hien gardens until her death in 1997. Over a century of existence, An Hien garden house has remained almost intact both in landscape and architecture. 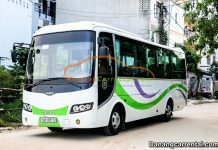 At present, An Hien garden house belongs to the inheritance of daughter in law Phan Thi Hoang Oanh and four grandchildren of Ms. Xuan Yen. 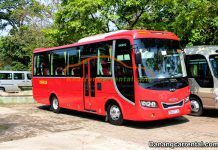 This place has long become a destination for tourists who are interested in Hue tourism. The main architect of An Hien Garden House is sculpted exquisitely. The whole frame structure in the house is made of wood. Patterns and engraved carvings exquisite around the main column, the system of trusses of the house. The roof tiles are ranged in many layers, the roof of each side embraces the dragon, in the middle of the roof top is shaped lotus. In particular, the antique furniture in the house is always neat and tidy. 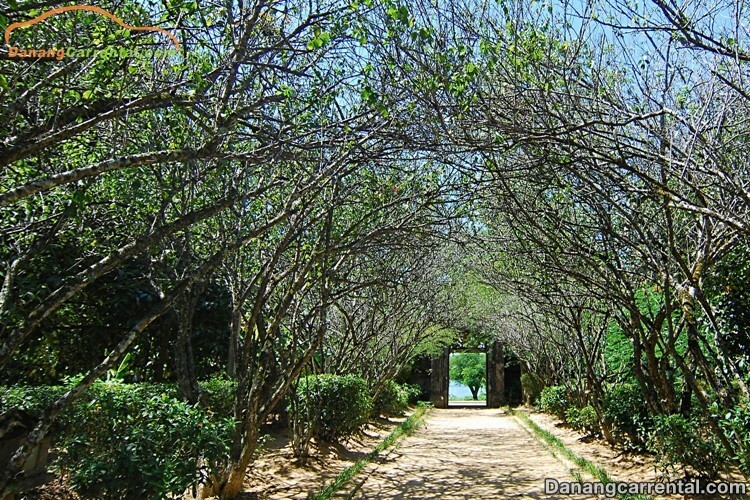 Discovering An Hien garden house is surely to be one of the most unforgettable things when returning to Hue dreaming. An Hien Garden House is designed as a typical model of Hue garden architecture, blends with nature and strongly influenced by Feng Shui law in the traditional architecture of the Orient. The main direction of the house turns to Huong River. The entire campus of 4,608 m2 consists of many small and evergreen architectural green foliage throughout the year. Entrance to An Hien Garden House is a small arched porch built with lime mortar under the dome of each other, creating depth and a sense of calm, dignified. Along the two sides of the entrance are two rows of white plum trees knit together soaring and shade. Turn left, past the antique vase decorated with word “Tho” is a rectangular lake with lilies, lotus flowers and ornamental trees around. An Hien garden house is 135m2 wide, exemplary architectural style of traditional architecture in general and of Huong Hue style house in particular. The entire frame structure of the house is made of wood, complete linkage. The main function of this ancient house is to worship and receive guests, in the center is decorated with altars. Interior space of the house is clearly divided according to use function. The center of worship is the altar, according to the principle of decoration: worshiping the front of the ancestors, worshiping the ancestors behind, two compartments on the two sides are the place to receive guests in accordance with the principle of the left of man and the right of woman. Especially, An Hien garden house has quite a lot of precious objects of the court of the Nguyen Dynasty. It is a lacquered picture with 4 characters “Van Vo Trung Hieu” granted by Emperor Bao Dai in 1937, now hanging in the middle, and many poems of King of Thanh Thai, are also hanging in the reception place at home. An Hien garden house is not only a special garden house of many generations of noble families, a beautiful architecture in harmony with the romantic landscape, it is actually an ecological space, a garden with flavors of 4 seasions. The owners generations have planted dozens of rare species, the seeds of fruit trees from all three regions of nation and hundreds of precious flowers, blooming all year round. Coming to this place, you can pick fruit and eat in the garden but absolutely not allowed to bring back home. An Hien garden house has experienced many owners, ups and downs of history and the harshness of time but still preserve almost intact the inherent values. 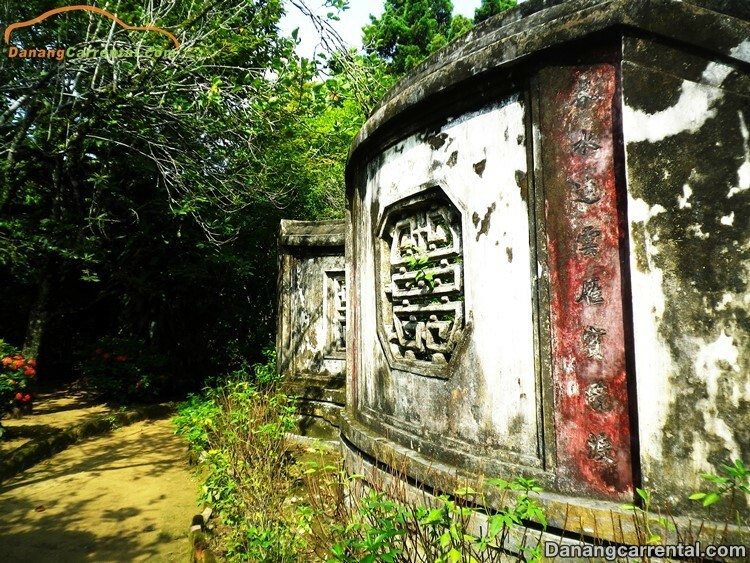 At present, An Hien garden house is a cultural place which is a peaceful place to attract many tourists. In this place, you can feel a completely different world to the outside world: slower, deeper and quieter. 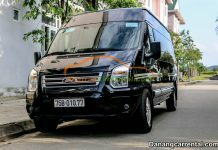 For more information or rent cheap car to visit famous sites in Hue, do not forget to contact Kha Tran Car rental hotline Ms Anna: (+84) 91 651 02 01 or Ms Katharine: (+84) 34 797 67 89.